Artist, Songwriter and Producer Jake Scott has signed a Worldwide Publishing Agreement with Angry Mob Music. The deal encompasses recent & future releases, including his most recent Artist singles “Don’t Let Me”, “Out of My Hands” and “Dawn”. Jake is best known for his work with Aloe Blacc, most recently the lead single “Brooklyn in The Summer” (XIX Recordings/Interscope) and his past work with producer David Hodges. Jake’s past and forthcoming writing credits include Jason Mraz, Christina Perri, Ben Rector, Shane Harper and Cody Lovaas. In addition to his songwriting, Jake is an accomplished solo artist who in 2015 released the album entitled Silhouettes and Sand, which reached #2 on iTunes’ Singer-Songwriter Charts. Following this release, Jake spent the next two years developing and working on new material which he self-produced and worked on with hitmakers such as Steve Solomon (James Arthur), Josh Kerr (Kelsea Ballerini) and David Hodges (Evanescence). He continues to release a new single every month and has culminated an impressive body of work in 2018. 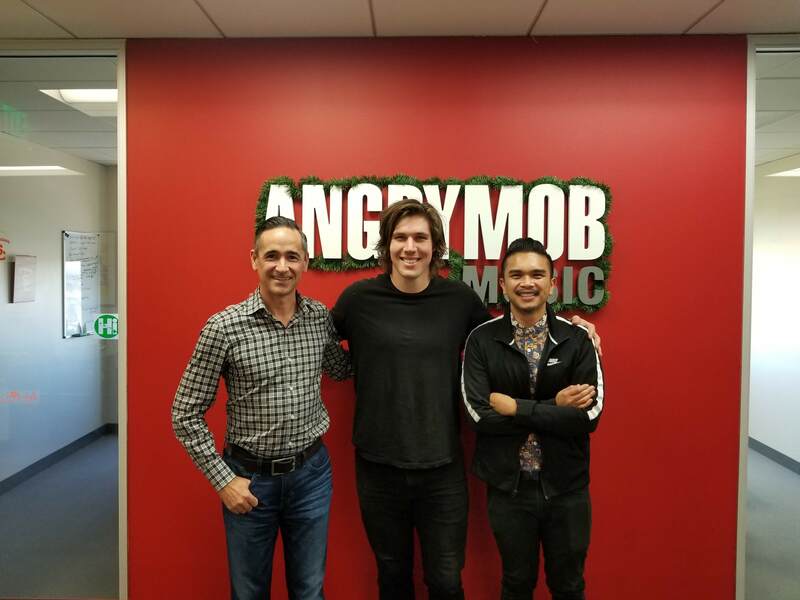 Ralph Torrefranca, A&R Director of Angry Mob Music, led the signing along with CEO Marc Caruso. “We are thrilled to welcome Jake to the Angry Mob Family, his years of hard work and dedication to the craft truly shows in both his creative collaborations in a room as well as his lyrical honesty in his own music. His unique approach to modern songwriting fits into our culture so well and I’m really looking forward to building our creative relationship with Jake and the rest of our team .” says Torrefranca. Angry Mob Music is a talent-centric, diversified music company serving songwriters, artists and other music creatives. Based in Los Angeles since its founding in 2009, Angry Mob Music is engaged in full service music publishing, master rights management, creative development and custom music production. Angry Mob Music’s boutique roster consists of over 60 songwriters, composers and artists with an administered catalog of over 4,500 works.